The rather brilliant Interstellar score was produced by Hans Zimmer (who else) and the first thing you should do is check out this performance on a Risa stick (sadly Santa didn’t bring me one for Christmas) before you start learning. I got in touch with 이기석 (hopefully I’ve got that name correct) and he very kindly sent me his tabbed version. Google Translate helped us through the language barrier. 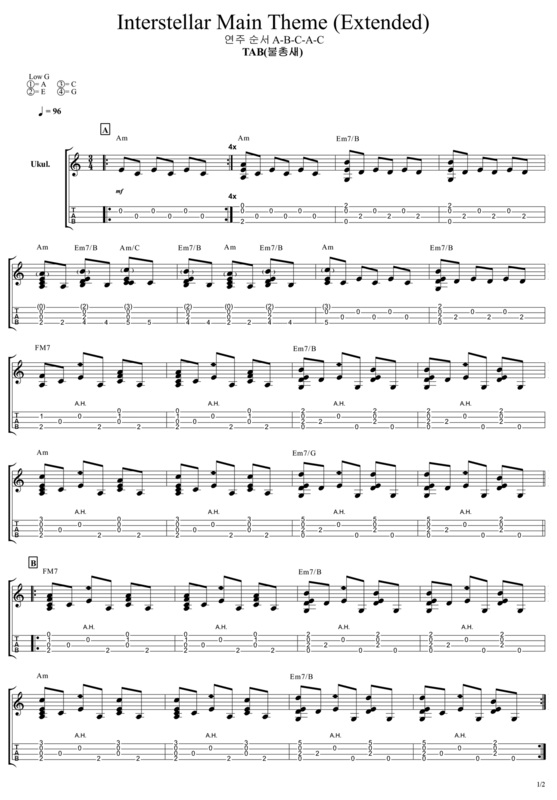 The tab is for a low g ukulele and if I’m honest I restrung my Outdoor Ukulele Tenor to low g just so I could play this song. It’s the first time since I started playing ukulele that I’ve restrung to low g.
The tab isn’t overly difficult to play. Watch for the 3/4 timing and you should be ok. Keep a steady count throughout tapping your foot to keep the rhythm. Hi, how does he do that little “ping” without touching his finger on the 7th fret? I would like to play tracks like this track or for example TWD on your website (https://ukulelego.com/tab/walking-dead-theme-ukulele-tab/). 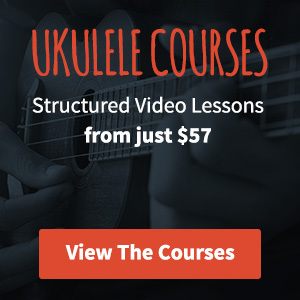 I saw several sites which recommanded the Concert Ukulele for beginners, while others recommended the contrary. I saw that the soprano gave sounds more acute/shrill than its brothers, it is really small (too small?). I confess that I am a little lost and I ‘m afraid to regret my choice :/ Can someone help me please? Hi can I play this with my Soprana? And hoe do I play the (3) (2) nota’s in the tab? Gr. this cant be the tab…the second isnt played at all right? I’m not sure I understand what you mean Arjan? Can you explain?